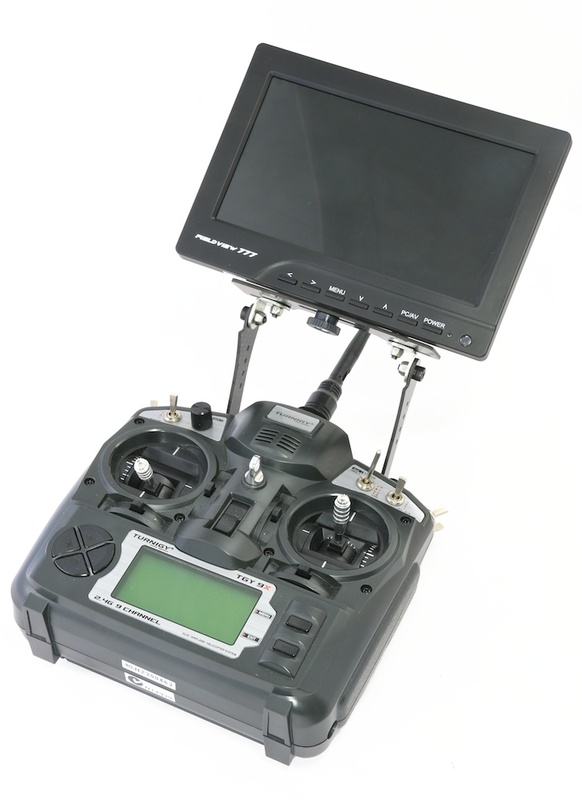 Having a monitor attached to your transmitter looks super cool; it's also the best place to have it mounted for FPV. 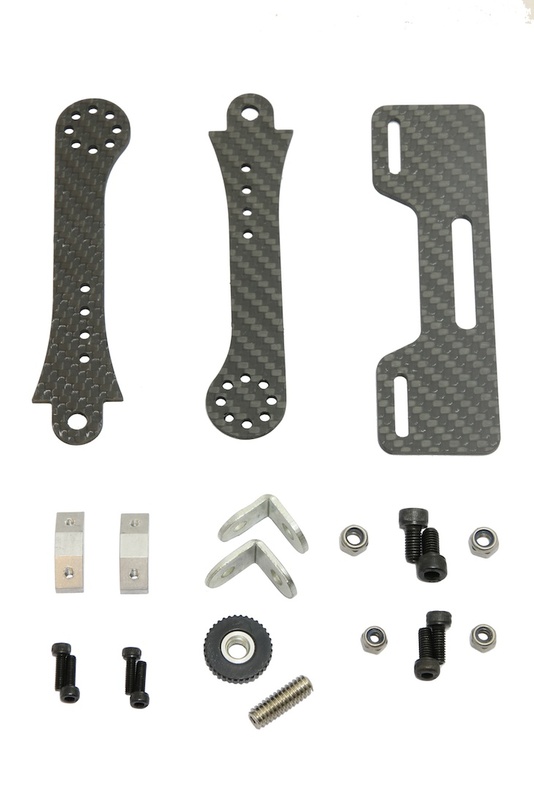 This universal carbon fibre monitor mount will adapt almost any transmitter with a carrying handle to support a 7-8 inch FPV monitor that has a bottom thread mount. The design of the mount allows the monitor to tilt to the optimal viewing angle as well as rotate over to allow for storage. Its carbon fibre construction provides a rigid yet lightweight platform to mount your monitor to. It can also be used to mount anything else with a standard tripod thread to your transmitter, for example our universal smartphone/tablet ground station clip holders. The mount does require assembling but it’s only a small job and the kit comes with all the screws you need - including a 1/4" 20 UNC tripod style thumbscrew to secure the monitor to the mount. 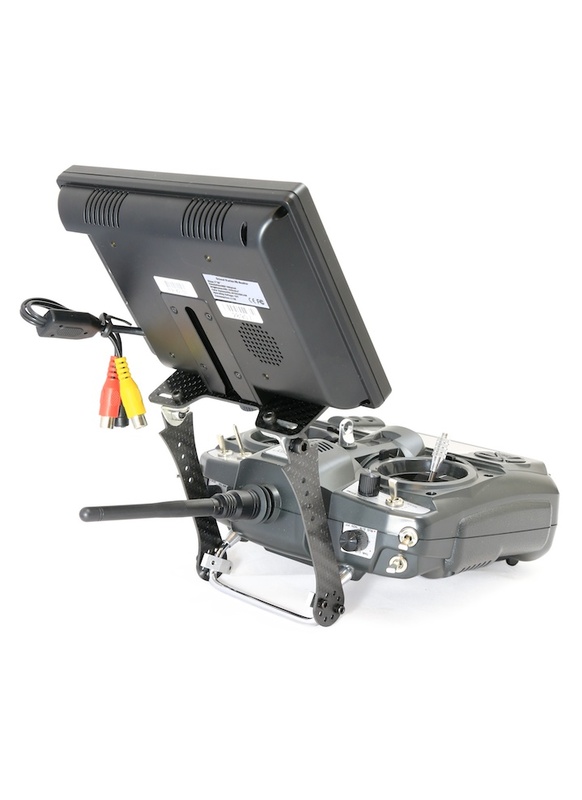 If you have a transmitter without a carrying handle and therefore not compatible with this monitor mount, take a look at our other type of monitor mount, as it might be compatible. Compatibility: Futaba, Turnigy, Spektrum, JR and others. Note transmitter must have a metal carrying handle.